Jagruti's Cooking Odyssey: Tandoori Mogo(cassava) and Awards!! Boil Cassava according to your packet instruction. (If you are using fresh boil untill cooked, not mashed). Drain the water and let it cool. Heat oil in a pan and fry the onion untill lightly brown. Now in a big bowl mix all the ingrediants and let it marinate for more than 2 hours. Longer is better. Preheat the oven to gas mark 6. Cover with foil and let it bake for at least 50 minutes. Ready to serve. Enjoy it as much as my husband and daughter did!! Lopa, Akal's Saappadu, Bo, Stephanie, Sushma mallay, Nithu Bala, Ganga, Kiran, Priya Srinivasan, Stephania.Confiditial, Mia, Cool Lassi(e), Pete, Priya Swaminathan and Tina.. I love cassava but have never had it prepared with such flavor! Usually I just ahve it in a simple garlic sauce. This looks too good not to try though. Congrats on your awards! First time heard about this dish, but looks delicious, gotta try..! wow!! that looks super yummy!!! I love casava, it looks like a wonderful dish! hey thats something new to me..will search for it soon..looks so tasty and spicy..
Congrats and thankuuuuu dear..Its completely a new recipe to me..Looks colourful..
Hey Jagruti, Mogo Looks very tempting!!! The Color of it makes me go slurrrrrrrrrrrp!!!!! So nice of you to share the award Jagruti!!! Very UK! :) I don't know anyone who doesn't like tandoori mogo. it has become so popular here recently. Perfect for a party! Never heard of this dish, but looks and sounds yummy..
Thats preety new to me! looks gr8 as always! am sending an entrty for ur event today..glad u extended the date..havent been able to blog often these days! Totally new dish..looks so good and yummy. Bookmarked it to try it. Lovely dish. I have never had this version of cassava. Looks yummy. I guess I will love it as much as your daughter did! 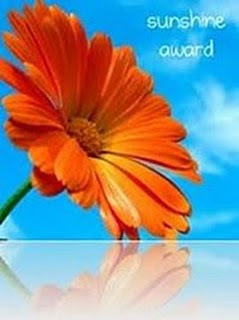 Dear, Thanks a plenty for the award. I will pick it and display soon..if not this week, next week..a bit busy this week. Wow. That's looks awesome and delicious. I am eying on the masala. I am sure this dish must taste great with it.. slurpp!!! Oh, they have frozen cassava there, cool! Here we normally buy them fresh with the skins intact. Liked new idea of using tapioca with tandoori masala. Looks good. Lovely preparation.. Never thought of cooking cassava tandoori way. Shall bookmark to try when I will have loads of cassava after the harvest. Cooked very few times with cassava.A very unique recipe.Got to try.Thanks for passing the award Jagruti. Tandoori cassava sounds very unique and delicious. Completely a catchy recipe n so delectable jagruti.Congrats on the awards.Wishing you to get loads of them. Never heard of this dish...looks so colourful and delicious. Congrats on the award Jagruti! looks very interesting dish, never cooked cassava before, though I love tandoori . I will come to visit again. Such a eye catching dish, very new to me..congrats on ur awards..
Tandoori mogo looks delicious.Mogo is also one of my familys favourites.I make chilli mogo.An award waiting for you on my blog.Please collect.Good to see you back blogging. I have never tried cassava, but I have seen it frozen at the store. So I know it is avaliable here. This dish looks so wonderful. I would love to try it. Thanks so much for honoring me with an award! When I saw this recipe I didnt get actually what cassava is and so I did google search and guess what this is like my staple food too..We malayalees call this kappa and the english name I knew was Tapioca.a new recipe to try out with Kappa..
New dish to me. Looks delicious.Congrats on your award. never had mogo.. but sounds so interesting! congrats on the awards too! Wow! It's lovely! I never tried cassava in tandoori style. I'll surely try! wowwww lovely cassava..never tried it in ur style.colour looks super!! Absolutely new dish for me. Looks delicious and yummy. What a wonderful dish and congrat on your award. Last but not the least..Congratulations on ur award..You truly deserve them. Congrats on your award...this is a new dish to me..lovely colour and nice click !! Nice-looking dish...I have had it back home as a kid...never tried it yet...great recipe! Congrats on your award!!! First time here.. Cassava dish looks delicious! You have a lovely space here with interesting recipes..
Tandoori mogo is something new to me..very lovely colour..congrats on your award and thanks for sharing it with me:-)I'l post soon..
Nice way to eat the root, the colour's so tempting. congrats dear..and thanks for your comments..You too have awonderful space..
congratulations for that lovely award and thank you so much for including me in your "good friends" list , that's a warming message for the day!!!! & thank you for sharing the award with me too!!!! enjoy !!!!!! this tandoori preparation using the cassava is something new, have never tried it!! sounds delicious and unique, that's something I should try !!! have a nice week end!! !